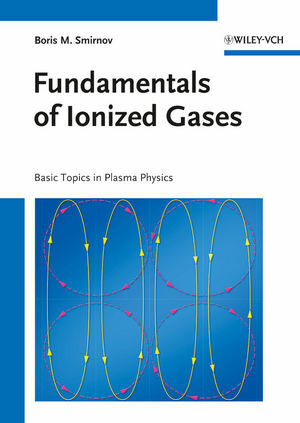 A comprehensive and readily accessible work for studying the physics of ionized gases, based on "Physics of Ionized Gases". The focus remains on fundamentals rather than on the details required for interesting but difficult applications, such as magnetic confinement fusion, or the phenomena that occur with extremely high-intensity short-pulse lasers. However, this new work benefits from much rearranging of the subject matter within each topic, resulting in a more coherent structure. There are also some significant additions, many of which relate to clusters, while other enlarged sections include plasmas in the atmosphere and their applications. In each case, the emphasis is on a clear and unified understanding of the basic physics that underlies all plasma phenomena. Thus, there are chapters on plasma behavior from the viewpoint of atomic and molecular physics, as well as on the macroscopic phenomena involved in physical kinetics of plasmas and the transport of radiation and of charged particles within plasmas. With this grounding in the fundamental physics of plasmas, the notoriously difficult subjects of nonlinear phenomena and of instabilities in plasmas can then be treated with comprehensive clarity. The work is rounded off with appendices containing information and data of great importance and relevance that are not easily found in other books. Valuable reading for graduate and PhD physics students, and a reference for researchers in low-temperature ionized gases-plasma processing, edge region fusion plasma physics, and atmospheric plasmas. Boris M. Smirnov is division head at the Joint Institute for High Temperatures, Russian Academy of Sciences in Moscow, Russia. He is Vice Chairman of the National Council for Low Temperature Plasma and Chairman of a Section on Elementary Processes in Plasma. Professor Smirnov's research interests focus on Plasma Physics and Technology, Cluster Physics, Fractal Systems and Nanostructures. He has authored and co-authored approx. 50 books as well as 400 research articles in plasma physics, atomic physics, and atomic clusters.